NYOS products now available in the US through EcoTech Marine. 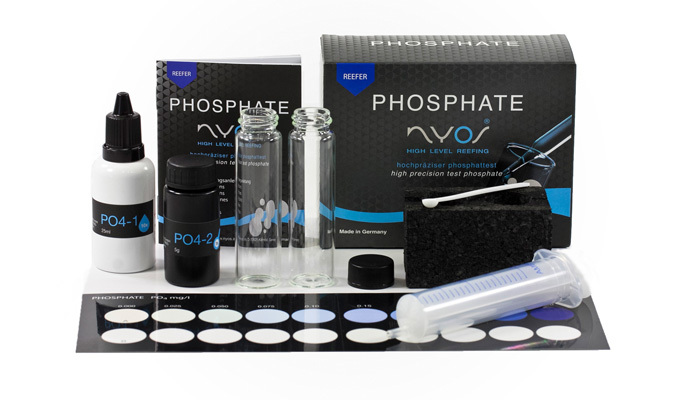 NYOS® Test Kits are a proprietary design which is highly precise and intuitive. German built quality test kits for Calcium, Carbonate, Magnesium, Nitrate, and Phosphate. NYOS® Fish Foods are from the most pure sources available. 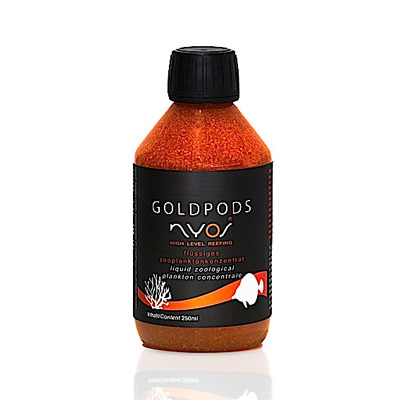 The NYOS® GOLDPODS are a liquid zoological plankton concentrate which contains arctic copepods. Also offered are the industries’ only certified organic foods. 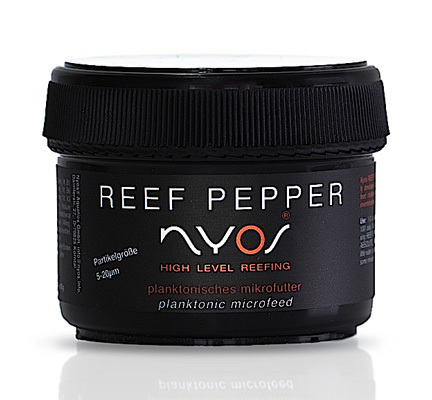 NYOS® Reef Cement is a quick setting paste and is activated when mixed with water. 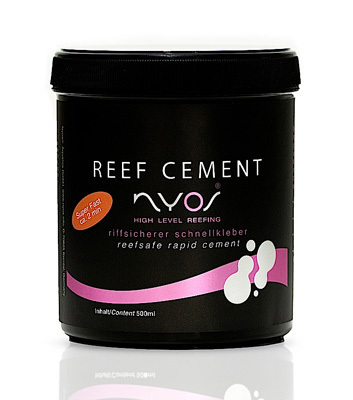 NYOS® Reef Cement can be applied above or below water and is completely safe for corals and fish. 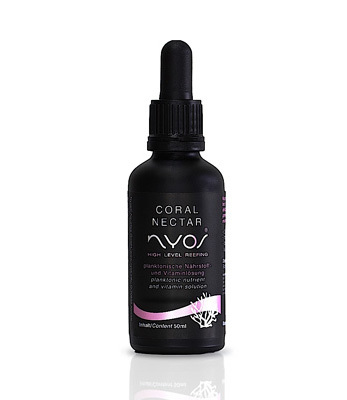 NYOS® CORAL NECTAR is a well-formulated nutrient solution for corals and filter-feeders.Nutrients from planktons and vitamin solutions for hard and soft corals, gorgonias, molluscs, and sponges. NYOS® Coral Foods are carefully formulated and go through a rigorous quality control procedure. The REEF PEPPER, ABSOLUTE AMIOS, and CORAL NECTAR provide the nutrients your corals need to thrive. Visit the Nyos® Media Gallery for videos about how to use the test kits, Goldpods, Reef Cement and much more. Retailers, contact your EcoTech Marine sales rep to get an information packet about carrying this exclusive line. 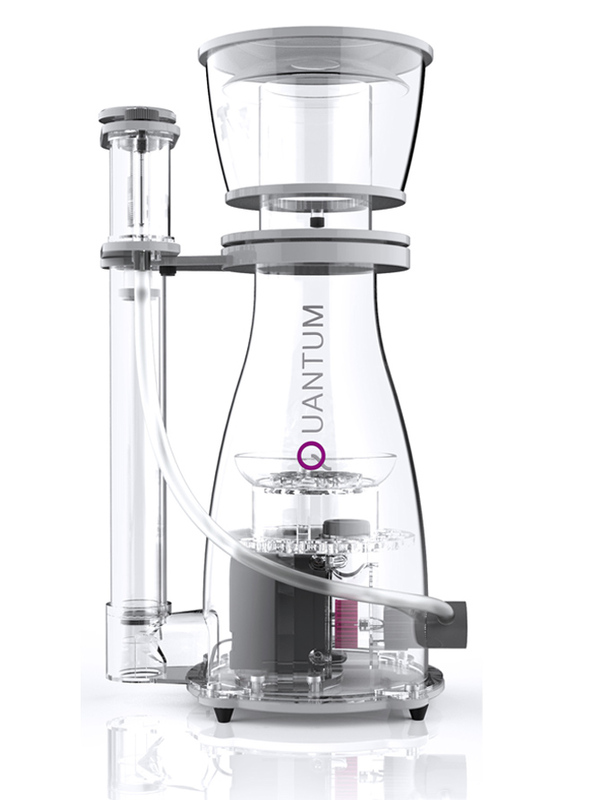 I’m in the market for a Nyos Quantum 220 cone skimmer…I’m concerned because I’ve tried contact everyone & anyone that would have an answer to a simple question,with no reply so far from any of the..Is there Quantum 5.0 replacement pumps for this product? If so PLEASE send me info ,prices,& availability status.Thank You Kindly..Please be the company that replies to this question.. I'm in the market for a Nyos Quantum 220 cone skimmer...I'm concerned because I've tried contact everyone & anyone that would have an answer to a simple question,with no reply so far from any of the..Is there Quantum 5.0 replacement pumps for this product? If so PLEASE send me info ,prices,& availability status.Thank You Kindly..Please be the company that replies to this question..